Speak with our CGS Foundation staff at School events throughout the year. 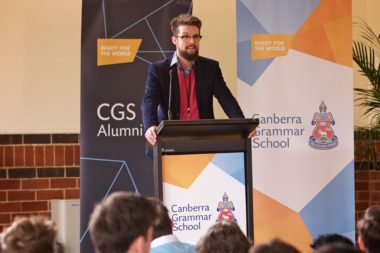 The CGS Foundation is represented at major School occasions like the CGS Fete, the annual Family Picnic and the CGS Alumni Reunion Weekend. We would welcome your interest and support in making these events special. Take part in the work of the CGS Parents & Friends Association. The CGS Foundation and the CGS P&F work side-by-side in creating opportunities for our children and our School. The CGS P&F exists to create a welcoming environment and to help the School in drawing on the resources of its extraordinary community. New members are warmly welcomed and active support of CGS P&F events is always greatly appreciated.